Hours: None listed. It seems the park is always open. Not far from the Museum of the City of London and the Barbican, home of the Royal Shakespeare Company, lies Postman’s Park, one of the City of London’s largest green spaces. Bordered by Little Britain, Aldersgate Street, and King Edward Street, the park is comprised of three former churchyards. 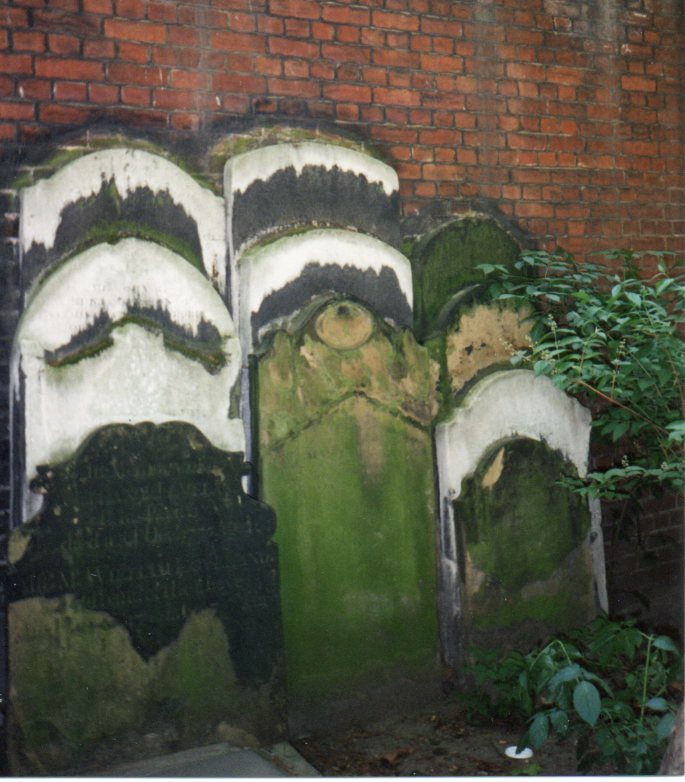 These were stuffed to overflowing by the cholera outbreaks of 1831 and 1848, during which graves were reused so many times that the ground level is six feet higher than that streets outside. St. Botolph’s is sometimes referred to as Without Aldersgate, which indicates that this church, initially built in the 10th century, stood outside (“without”) the old gate in the Roman Wall. The gate is long gone. The Wall itself has been reduced to a few fragments propped up here and there. It’s strange to imagine that this park, now in the heart of London, once stood on the city’s edge. St. Botolph is the patron of travelers, so it made sense for his church to stand outside the wall. That way, visitors who arrived after London’s gates had closed for the night had a place to stay. The modern guild served by the church is postmen. Very little is known about Botolph (more likely Botulf, since he was Anglo-Saxon), except that he built a monastery in East Anglia in 654 C.E. That church was destroyed in the Danish invasions, after which Botolph’s bones were parceled out to sanctify other churches. Three in London alone were named after him, all three of which were rebuilt by Christopher Wren after the Great Fire of 1666. Before you reach the Heroes Wall, you pass through the park itself. Narrow and long, it has a lovely fountain and lots of benches, some of which are re-purposed granite sarcophagi. 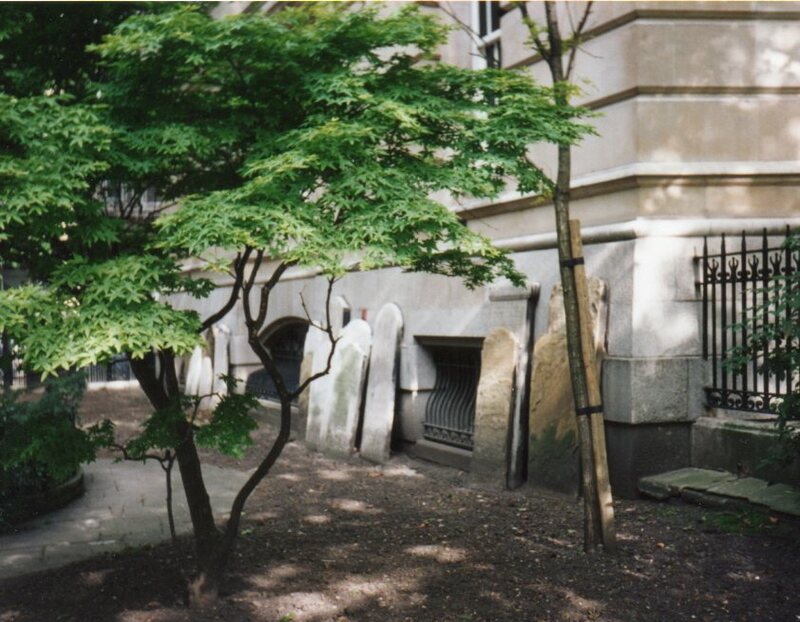 Against the walls of the neighboring buildings lean eroded headstones from the original churchyards. Some stones are stacked three deep. The headstones are all the old tablet style, carved of marble or slate. They have been stained by soot and discolored by bright green mildew. Their inscriptions have been worn almost smooth. Nothing endures of these individuals: not their graves, not even their names. At the back of the park stands the “cloister” covering the Heroes Wall. A cloister is a covered walkway around an open space, normally connecting a monastery or convent to its church. This freestanding “cloister” doesn’t connect to anything and has no religious significance, except perhaps to lend respectability to the monument within. Born in London in 1817, George Frederick Watts became famous for painting “penetrating” portraits of Victorian notables. He presented 150 of his paintings to the National Portrait Gallery in the year before his death. His best-known sculpture, “Physical Energy,” was an equestrian statue unveiled in 1904. For many years, he collected news stories about average people to saved others, often at the costs of their own lives. Actresses who died saving their colleagues, men rescuing their comrade at the sewage pumping works at East Ham, the laborer who was fatally scalded searching for his mate after the boiler exploded at a Battersea sugar refinery: Watts’ intention with his memorial wall was to recognize everyday heroism, as opposed to the heroism of warriors or politicians, and to inspire common people to look after each other. To qualify for memorialization on the wall, one had to give his or her life in an attempt to rescue someone else. Not all the rescues commemorated were successful. The initial design called for 120 tablets, only 53 of which have been placed. The tiles were installed over a span of decades and their designs changed over the course of the project. The most recent panel was added in 2009 to commemorate Leigh Pitt, who died in 2007 while rescuing a child drowning in a canal in Thamesmead. This entry was posted in Cemetery of the Week and tagged dismantled graveyard, English cemeteries, London cemetery, Postman's Park. Bookmark the permalink.